There is a paradox in the idea that one must fertilize one’s plants to then, come spring, find that one has to prune and cut back what has overgrown. What is not a paradox and a certainty is that I used to be a lot more ignorant about gardening than I am now. When we first moved to our present home on Athlone Street, my eldest daughter’s boy friend of the time offered us horse manure from his parent’s home in Ladner. I remember shoveling the precious stuff under our laurel hedge! One of the worst chores of the year is tackling the four day pruning of that damn laurel hedge. The above is but a preamble to state that after a long day of pruning and moving plants in the garden I found myself losing my balance and I knew that if I persisted in the garden I was going to fall or perhaps (worse) accidentally sever one of my fingers with my secateurs. I opted to come inside and write this blog. It is not in the least difficult to think about something to write. Originally I was going to write about the baker’s wife. Both the baker and his wife live on Salt Spring Island but that story will have to wait for another day. That was a tough question which I was about to answer and did indeed answer, “It depends,” until we entered the gallery and I saw Liv Ullman’s portrait, nicely framed and occupying, all by herself and artist’s easel. 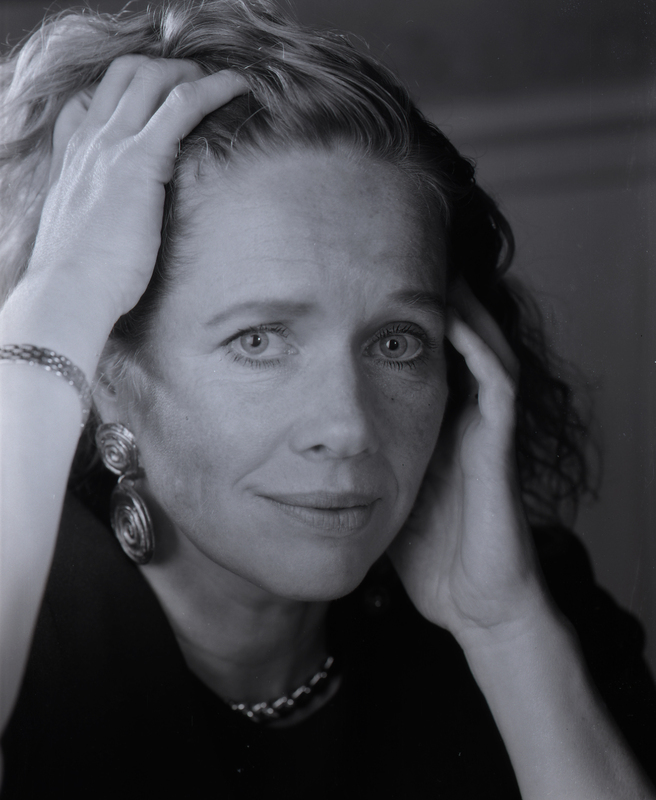 It was then easy to say, “This portrait of Liv Ullman is my favourite,” and I proceeded to tell its story. In the garden the answer might be the rose in bloom or a hosta in all its glory. In the winter the question about a favourite rose becomes much more difficult as I have to choose one at the expense of the others. Could it be Rosa ‘Mrs. Oakley Fisher’ who so reminds me of my portrait of Rebecca, as a child, wearing one in her hair? I have very nice hostas (over 400 of them) and some not exactly the most beautiful, like Hosta 'Sea Dream' or H. Alex Summers remind me, the former of its hybridizer Mildred Seaver, a dear and wonderful woman and the latter of the handsome and warm founder of the hosta society, Alex Summers. Both of them befriended my granddaughter Rebecca. These two hostas have my friends’ faces on them. But on a rainy and cool day, or why not, a sunny day, Hosta ‘Krossa Regal’ with no variegation and with its dull battleship grey, grey it is as elegant as a plant can be. Which brings me to what is my favourite jazz tune right now as I write this? One is from a no liner note CD called Dizzy Gillespie – Con Alma and the title song, one of the most beautiful jazz standards ever runs for a not-long-enough 9 minutes and 25 seconds. The other jazz tune is Stan Getz (his last album, released posthumously) and Kenny Barron - People Time playing Charlie Haden’s First Song (For Ruth). And Elizabeth Nolan of the Driftwood, thank you for the lovely review and keep asking that tough question.